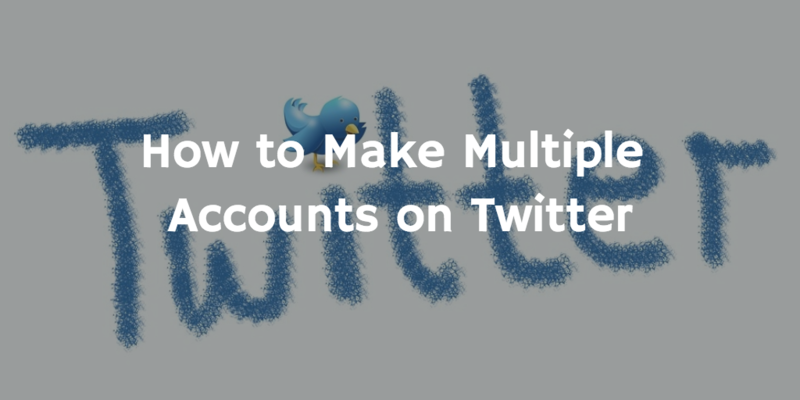 How to Make Multiple Accounts on Twitter with same Email Address? If you are a Twitter user and you want to make more than one account for any purpose like promotion of your blog or if you are branding yourself for another niche. Then you might be interested in opening another Twitter profile for that. Like for example I have multiple blogs & I would like to open different accounts on Twitter for promoting my blogs. Then I have to have multiple email addresses as Twitter allows one email address once for the account creation. Gmail has a fabulous feature which can help me in creation of multiple Twitter accounts with same gmail email address. let’s take a simple example how gmail has created your multiple addresses while you are thinking that u have only one email id. If you haven’t noticed .. there is a full stop or dot in different positions for all the consecutive emails above. If you send an email to any of the addresses written above, they all will reach me for sure. But Twitter reads all these emails differently and it will allow you to make the accounts with each and everyone. Some of you might be thinking it can also be done with other email addresses but I personally use gmail and I like to use only one account for saving my time to log into different mail accounts. Hope this trick will be helpful for you. Update: One of my friend (Shivendu Madhava) told me you can get 8 more accounts on twitter with googlemail.com extension which will also be linked to my same gmail account .. thanks to him for the update.